Rainbow Obsidian has an amorphous crystal system and is in the mineral class of oxides. It is formed volcanically when lava that is rich in silicic acids cools very quickly. The result of this creates a mass that is very rich in minerals, water and gas inclusions. Its basic color is black. There is a colorful iridescence that is hard to capture in a photograph. The rainbow colors swirled through it come from finely distributed water bubbles (much the same as rainbows found in clear quartz). Lower or higher concentrations of minerals provides us Obsidian's other varieties. 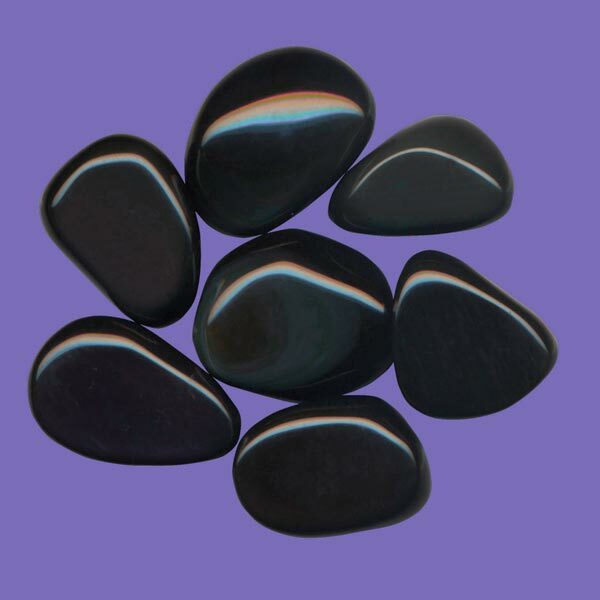 Rainbow Obsidian is an excellent grounding and centering stone. Used during meditation, it provides good effects on emotions at the soul level. After using for this purpose, for a final clearing, hold a piece of Quartz for a few moments. Rainbow Obsidian allows us to recognize and retrieve the forgotten capabilities of the spiritual sides of our nature so they can be incorporated as part of our current self. Rainbow Obsidian helps to dissolve fears and blocks from traumas and can bring hidden images to light. It brings a new depth to our emotional side and can help with things we have obsessed about. In cutting the cords of old love, it gently releases the ties that some have left on us and restores our heart energy. Rainbow Obsidian can assist in expanding our consciousness to to change restricting beliefs. Our senses become sharpened and our intellect realizes what had seemed mysterious in the past. 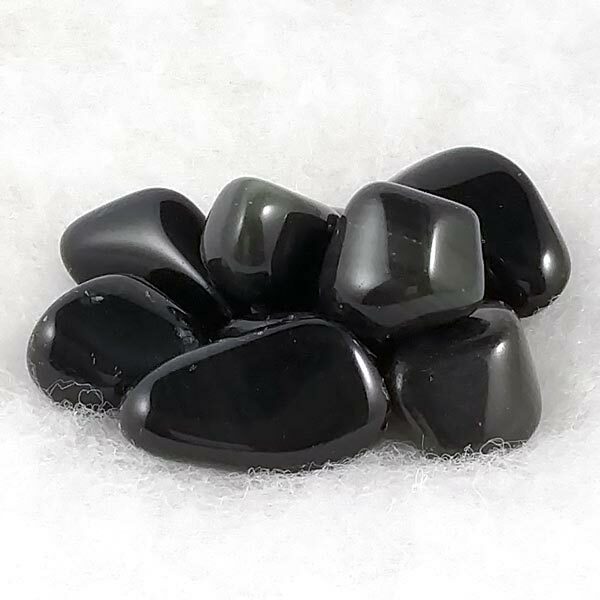 Rainbow Obsidian helps to dissolve pain, tension and energy blocks. Shocks that have come from injury seem to be dissolved at a cellular level which seems to speed recovery of healing wounds. Rainbow Obsidian has a special affinity with Scorpio. It has a Projective Energy, its Planet is Saturn and its Element is Fire. Native American peoples have used it for the purpose of sharpening inner and outer visions. Aztecs also made square mirrors out of it for use in divination. And, there is a legend that the famous Dr. Dee, an alchemist/magician for Queen Elizabeth I, used a mirror made from it in his scrying sessions.